The film is about an unemployed youth named Ramu, who comes from a middle-class family that has been turned refugee overnight by the Partition, but which nevertheless refuses to abandon its petty- bourgeois aspirations. Ramu gets saddled with the responsibilities of running the household, tending to his aged parents, getting his younger brother an education, his sister a husband: The film chronicles the slow destruction of this family as its resilence is beaten out by its hopeless situation. As the host of hurdles grows, the family is forced to sell its house, overcome its inhibitions and move to a working-class neighbourhood. Nagarik too, though completed was made under almost impossible conditions with crippling shortages of stock, equipment and finance. The evidence for this is plain to see in the film itself — prints existing today have been salvaged from an almost decayed negative that was found on a laboratory shelf. Nagarik has been available on DVD for a few years now, the same goes for most of Ghatak’s films. Getting access to such films is less of a question today. 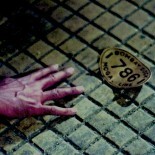 The major concern is the urgent need for preserving, restoring and re-releasing the films to a wider audience. 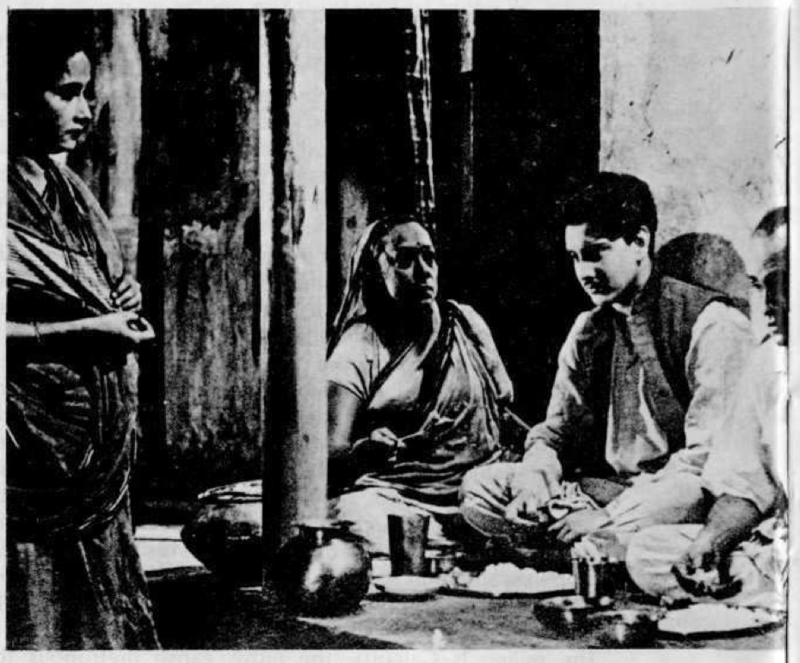 Both Meghe Dhaka Tara (The Cloud Capped Star, 1960) and Titash Ekti Nadir Naam (A River Called Titas, 1973) were first made available in the UK by the BFI. Since then Titash Ekti Nadir Naam has undergone a radical restoration by the World Cinema Foundation and was released on Blu-ray in 2013, the first Ghatak film to be given such a specialist release via Criterion, and has also played at various film festivals in a new print. As far as I know Masters of Cinema, a specialist DVD label, also have plans to release Titash Ekti Nadir Naam later next year here in the UK. Ghatak also left behind many films which he never managed to finish, many of which have never been screened or perhaps have also been lost. 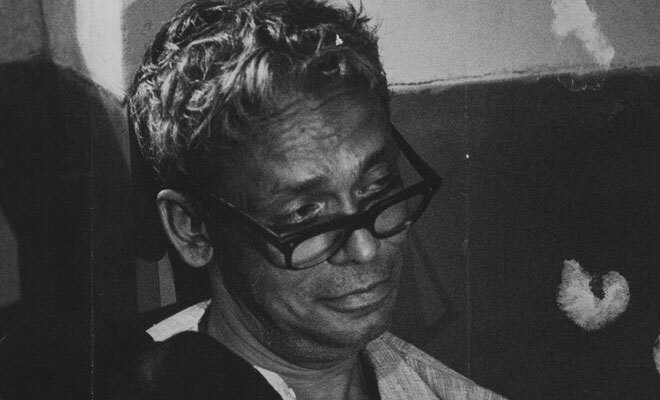 Channel Four ran a short season of Ritwik Ghatak films a while back and screened the little seen Komal Gandhar (E- Flat, 1961), a controversial critique of the IPTA and in Ghatak’s opinion ‘his most intellectual work’, which was broadcast in a very good transfer. Even if many of the prints to these films are in a poor condition, they still deserve a proper home video release. The DVD releases of Subarnarekha (1962), Meghe Dhaka Tara, Ajantrik (The Unmechanical, 1958) and Jukti Takko Aar Gappo (Reason, Debate and a Story, 1974) testify that the prints appear to be in a relatively good condition and so would not require the radical restoration demanded from a film like Nagarik. This would be an obvious first step in terms of preserving the legacy of Ghatak and protecting Indian film heritage for future generations. Furthermore, Ghatak also made many documentaries, with many never having seen the light of day. Or yet again they may have just been lost? The discovery of these films would also help to expand the scholarly work completed on Ghatak. 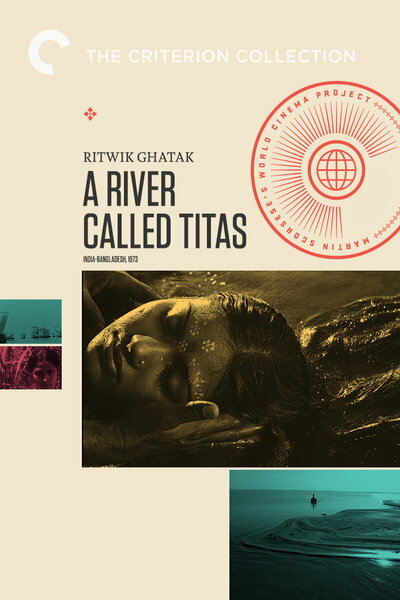 The existence of the Ritwik Memorial Trust has been mentioned before to me but I’m not entirely sure what role, if any, it is currently playing in regards to restoring Ghatak’s films. I would not be surprised if the World Cinema Foundation and Criterion in the future restore and release more of Ghatak’s films. Nagarik was made in 1952, and thus precedes even Pather Panchali. Yet, ever since its release, the film has generated a lot of discussion among filmgoers — discussion which, in its turn, might be the prelude to a better understanding of Nagarik and a correct historical assessment of its importance. One cannot rule out the possibility that, if released at an appropriate time, this film would have broken new ground in the history of Indian films. The Telengana insurrection of 1946-51 had at its height brought about visions of the Independence movement itself being carried forward into full scale revolution. Following this vision, the work that emerged from the IPTA was mostly part of a definite programme for mass-mobilisation. And finally, the point of transformation—the acceptance of the inevitability of the class struggle. It is here that the single major intervention comes in of the filmmaker, the playing of the Internationale in the background as the family leaves the house. There is nothing to justify the optimisim with which the family faces the future, but there is a lightness in the air, a new confidence. Currently YouTube has an upload of Nagarik (see below) complete with English subtitles. I have already downloaded the film for archive purposes. I would recommend the same if you want to hold on to Ghatak’s work as it may be a while (or never?) until his films are restored. It is also worth mentioning that Ghatak also wrote extensively on cinema, mostly during his time while teaching at the Institute of Film and Television in Pune. Some of his writings were collected and published in a volume ‘Cinema and I’ in 1987 by the Ritwik Memorial Trust. This was the supposed to be the first in a series of publications of Ghatak’s works but I could not ascertain if further volumes were published. Unfortunately, ‘Cinema and I’ has been out of print for a while now but like his films, his writings have sadly also gone unappreciated. This entry was posted on November 2, 2014 by Omar Ahmed in Auteur, Bengali Cinema, Neo realism, Political Cinema, ritwik ghatak and tagged Indian Cinema.